Hi I’m Linda, I blog over at Mixed Kreations where you will find diy projects, recipes and more. 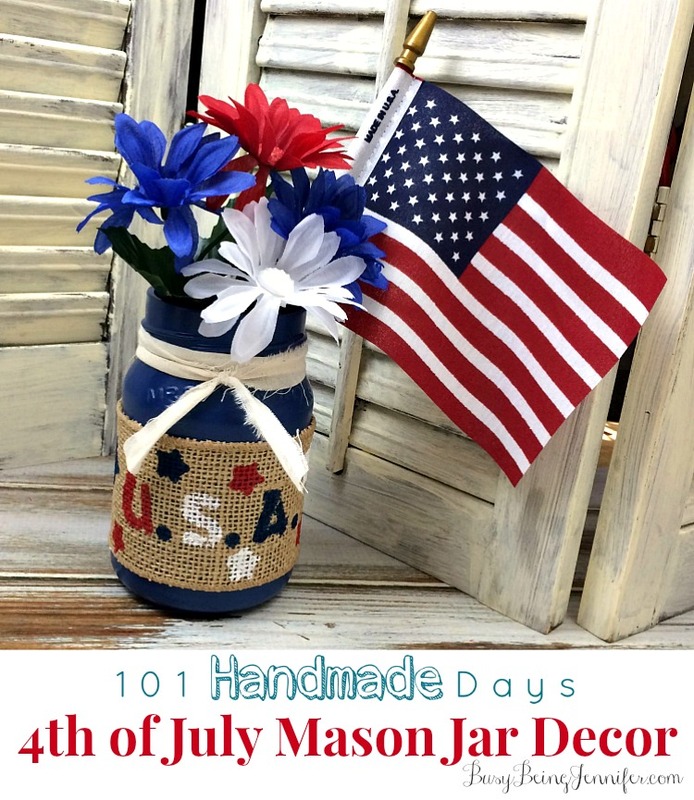 Today I want to share with you a really easy diy 4th of July mason jar decor project that takes no time to make. Burlap approximately 2 1/2″ wide and long enough to go around your mason jar with a little overlap. Letter and Star stencils and stencil sponge. Strip of fabric approximately 2′ in length and 1/2′ wide. 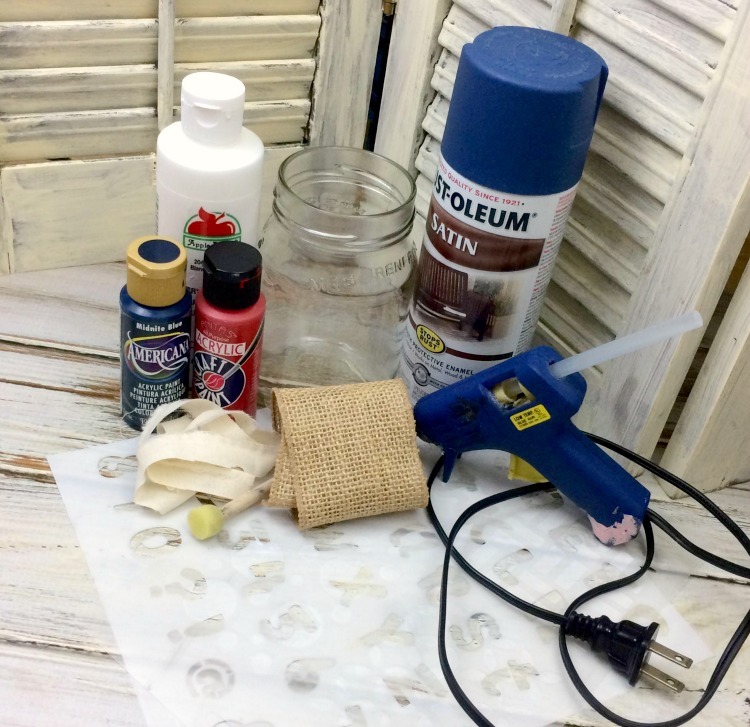 First paint your mason jar with your blue Rust-Oleum spray paint, couple coats. 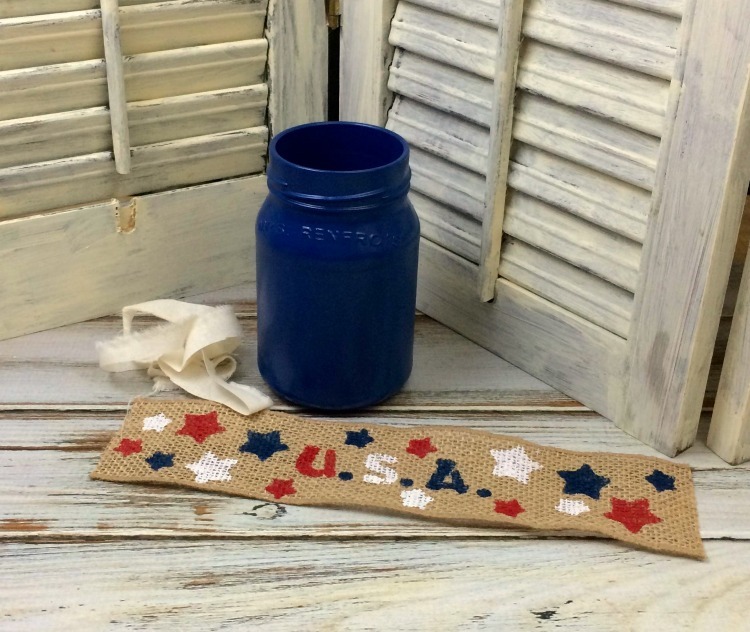 While your mason jar is drying start stenciling your letters and stars onto your strip of burlap using your acrylic paints. I first stenciled all of one color then went to the next, till I got all my letters and stars stenciled onto the burlap. Once everything is dry wrap the burlap around the center of your mason jar. 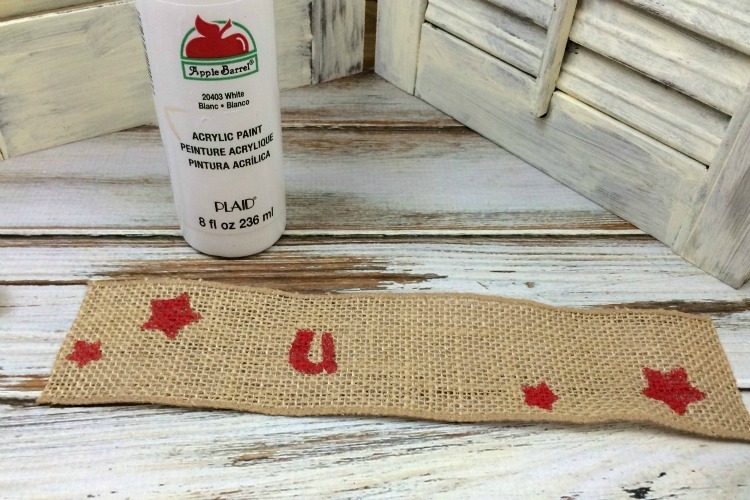 Add a little bit of hot glue to the underside of one end of your burlap strip and glue down onto your mason jar. Pulling snug overlapping with the other end and glue it down with your hot glue. Then add your strip of fabric around the top neck of your mason jar, it should wrap around twice. Tie a knot, and trim the ends if needed. That’s it! Fill with flowers and use as a center piece, or make several and use to hold spoons and forks at your 4th of July Barbecue. 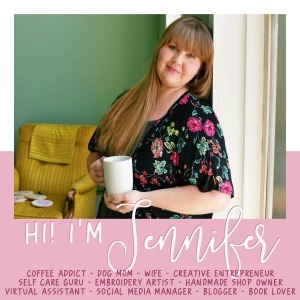 You can find Linda at Mixed Kreations -The creative life and journey of a Diy’er and on Social Media! Super cute mason jar! I love how there’s so much that you can do with them! 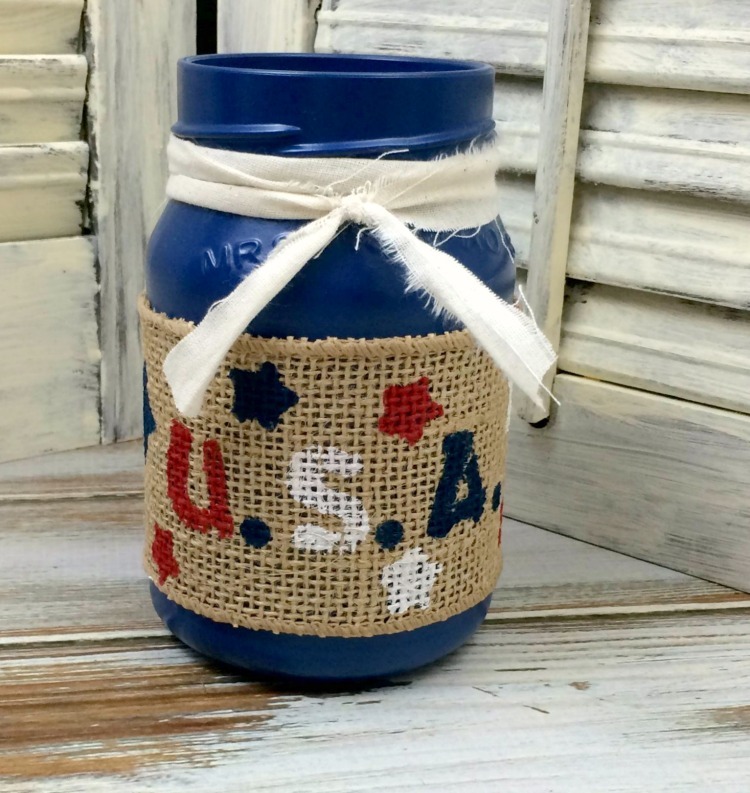 Thank you Jennifer for sharing my 4th of July mason jar project. Have a wonderful week!